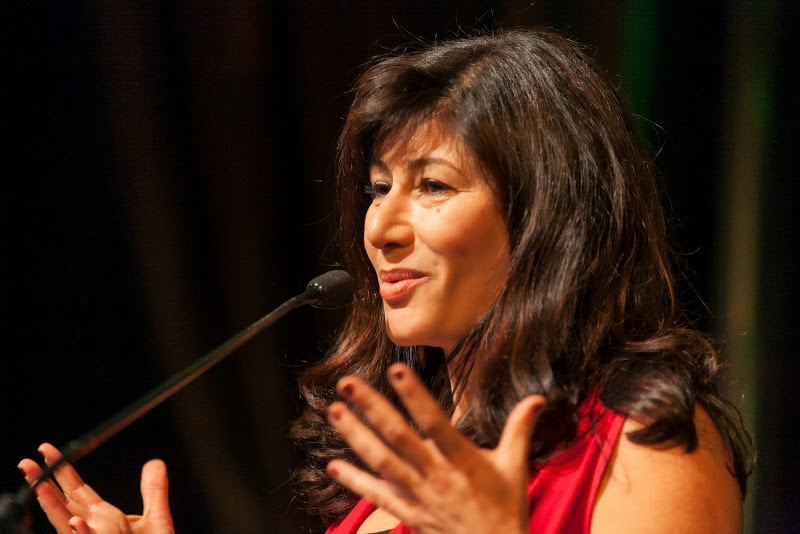 Atossa Soltani speaking at last year's Amazon Watch luncheon. One of our grantees that continues to stand out in the in their incredible efforts with their dedication, longevity and groundbreaking service to the Amazon is holding an event that takes you up close and personal with their wild and adventurous work! Working with indigenous communities and environmental groups, Amazon Watch’s work is rooted in the richness and diversity of creatures, cultures, and habitats of the rainforest. Their campaigns tackle human rights, rainforest deforestation, corporate accountability and the overall protection of the Amazon. Their annual fundraising luncheon (happening today) is a perfect example of how their essential work inspires and ignites. The 2014 annual Amazon Watch luncheon starts today at 12:00pm Pacific Time, and you can watch it from the convenience of your computer screen. We encourage you to join Amazon Watch and friends to celebrate and acknowledge the work of individuals in the indigenous communities they support, and the movement connected to their efforts. The annual luncheon will feature Patricia Gualinga – an inspiring indigenous leader from the Kichwa community of Sarayaku in the heart of the Ecuadorian Amazon. Patricia was an official delegate to Climate Week in New York last month bringing with her the cinematic and powerful video, Keep the Oil in the Ground. This is a unique opportunity to learn about the real life experience of the people our funding supports. Amazon Watch is a group close to our hearts, not only because of their tireless work in the Amazon, but also because our friends and colleagues are a part of this stellar group. Branden Barber, is Amazon Watch’s Director of Engagement sits on the Kindle Project Steering Committee. And the imitable Atossa Soltani is the Founder of Amazon Watch and is about to transition from her position as Executive Director to President of the Board is a close ally and friend of Kindle and of the Indie Philanthropy Initiative. Last week at the Environmental Grantmakers Association Annual Retreat Atossa spoke with Kindle Project and Quixote Foundation on a panel about Indie Philanthropy. Amazon Watch’s unique use of Micro Granting acts as a phenomenal example of how a little can go an extremely long way. Amazon Watch’s Micro Granting story will be live online next week when we launch our Indie Philanthropy Initiative website on October 15th. We hope you’ll join us as we tune in live for the web broadcast of the Amazon Watch luncheon. All proceeds of this event go directly to Amazon Watch. If you feel inclined to contribute as a result of participating in the event or otherwise, you can donate to them directly here.